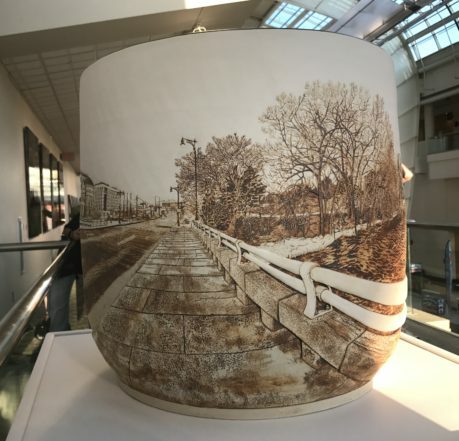 “Early January on the Pearl Street Bridge” is the name of one of the most intricate entries in ArtPrize 2017. 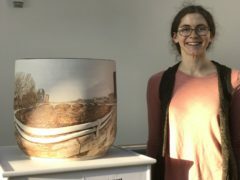 The piece was painstakingly created by Melodee Jackson, a 26-year-old Zeeland, Michigan artist and Hope College graduate. The impressive vase is roughly 17-inches in diameter depicts the 360-degree view of what one can see while standing at the center of the Pearl Street Bridge in downtown Grand Rapids, Michigan. Working form a series of photographs she took herself, Jackson’s depiction of the urban landscape etched in clay is both impressive and rich in tiny details. 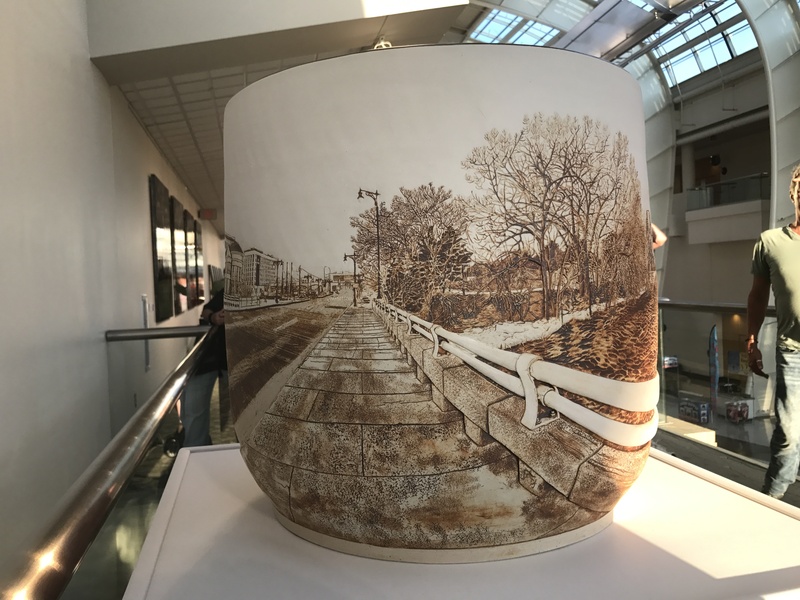 From water-stains on the sidewalk to bolts on the bridge railing, Jackson’s piece celebrates the ordinary and leads viewers who have crossed the Pearl Street Bridge many times to feel like they are seeing the view for the very first time. Tune in to this episode to hear how Jackson created her piece. You visit Joy Jax Ceramics to shop her handmade mugs and bowls and read more about her ArtPrize entry here. And if you can’t make it down to DeVos Place in Grand Rapids to see her entry in person, check out this video.